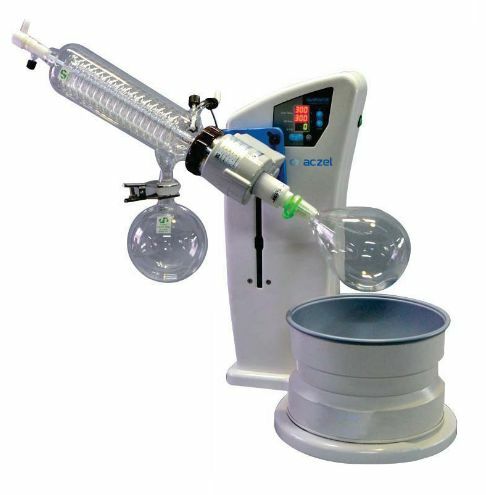 The ARE Series Rotary Evaporator meets highest applicative demands in R&D and quality control. The controller as well as a wide range of other optional products, vacuum pumps, recirculating chillers, glassware and accessories enable the highest degree of efficiency and fully automated operations. 6 different types of flasks are attachable (from 50ml to 3000ml). Digital interior temperature measure and display. It catches the temperature changes caused by the interior pressure drops.